but that's what connects us. 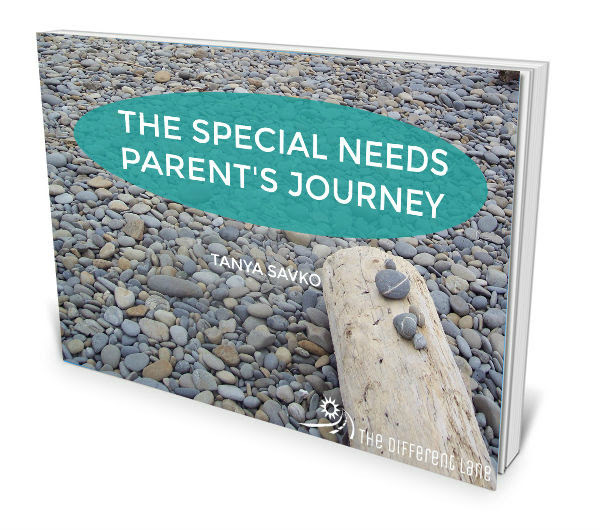 The Special Needs Parent's Book is not a lengthy book, nor a how-to manual. It’s simply a brief, in-the-trenches, 20-year-post-diagnosis outlook on this journey that we find ourselves on. My intent in writing it is the same intent with which I began blogging in 2008 – to connect with other parents who walk this path with me. Our journeys may differ in some areas, but our hearts are in the same place. Get your free PDF ebook! Your email will never be sold or shared. And you can unsubscribe at any time. © Copyright 2019 The Different Lane. All rights reserved.